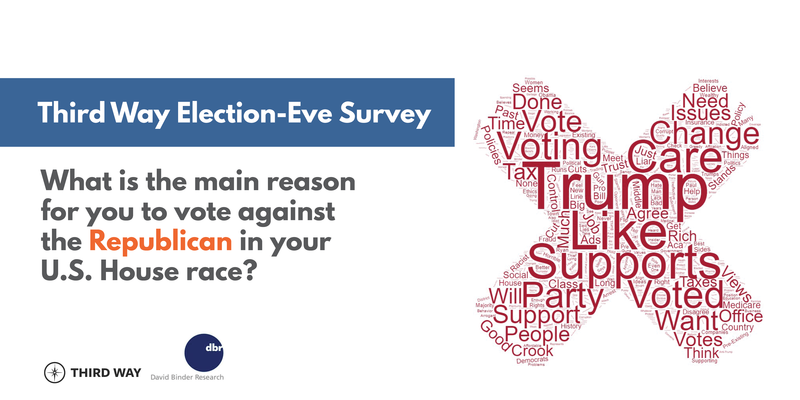 On the weekend before Election Day, Third Way and David Binder Research conducted an election-eve online survey in the 72 battleground US House districts rated as “Lean” or “Toss Up” by the Cook Political Report as of late October. 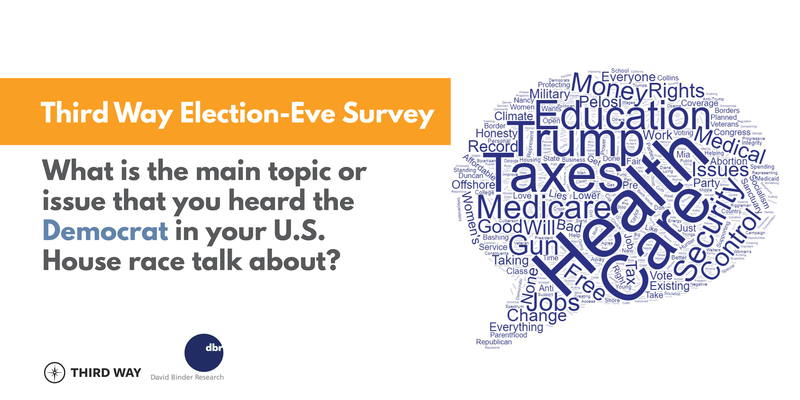 Democratic and Republican candidates were referred to by name in the survey. The 2,428 voter sample was made up of voters who had voted early or who indicated they were certain to vote. 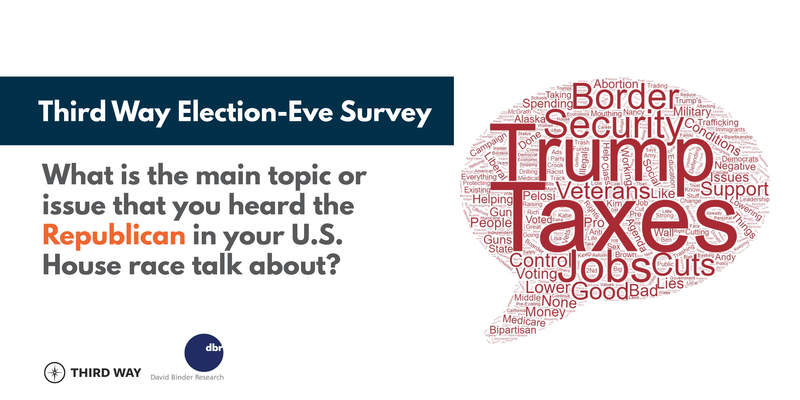 Respondents were drawn from state voter lists and a voter-matched panel.